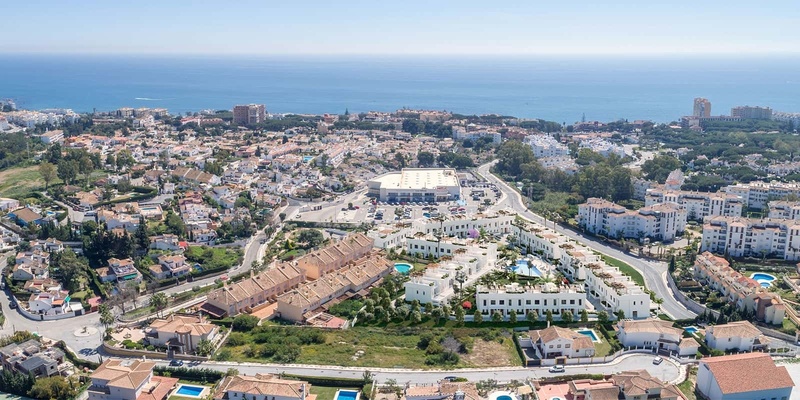 This exciting development of 48 new homes close to the beach in Calahonda, Mijas Costa, is the first new build project of this type and scale to be built in the heart of Calahonda in many years. 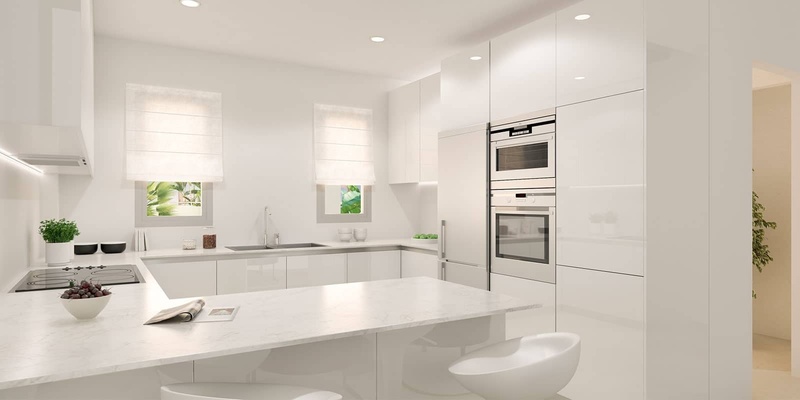 These stylish residences offer three bedrooms and two and a half bathrooms distributed over four storeys, the bottom of which boasts underground parking for two vehicles and two basement rooms, and a private garden which is maintained by the community. 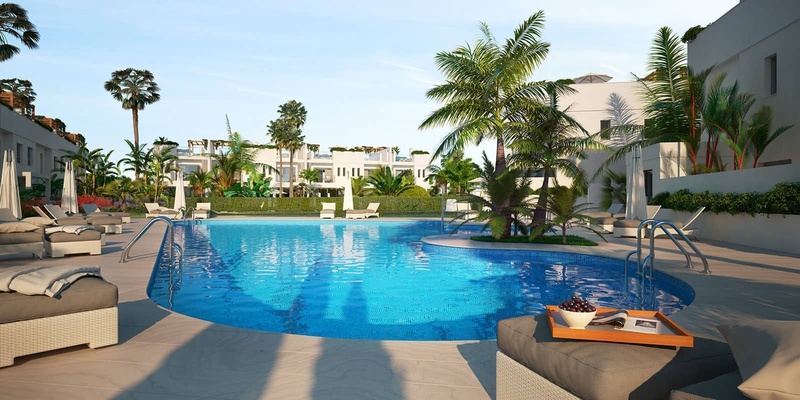 The properties are set within 3,300m2 of tropical landscaped gardens, with a large community pool, sun deck and gymnasium onsite. There will also be a concierge service, CCTV and on-site security. 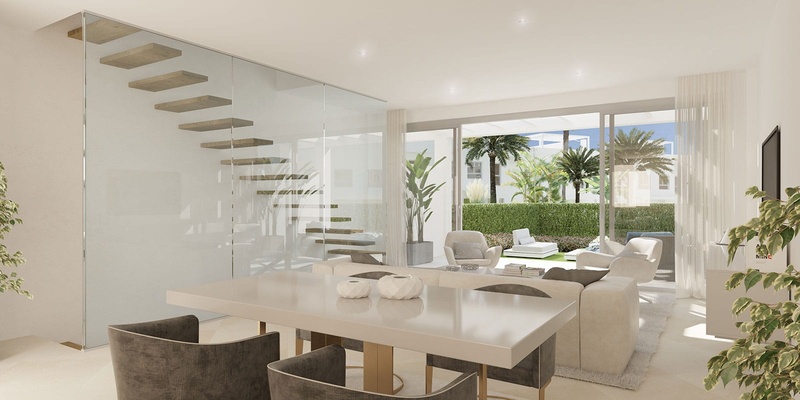 All units include a large open-plan living area, fully-fitted kitchens with Bosch appliances, hot/cold air-conditioning by Fujitsu and seamless access with floor-to-ceiling windows to an outside terrace and ample private garden area. A feature floating staircase with frosted glass light well leads up to a three-bedroom level with master en suite and two further bedrooms, all of which feature electric shutters. Furthermore, all upstairs bathrooms have underfloor heating as standard. 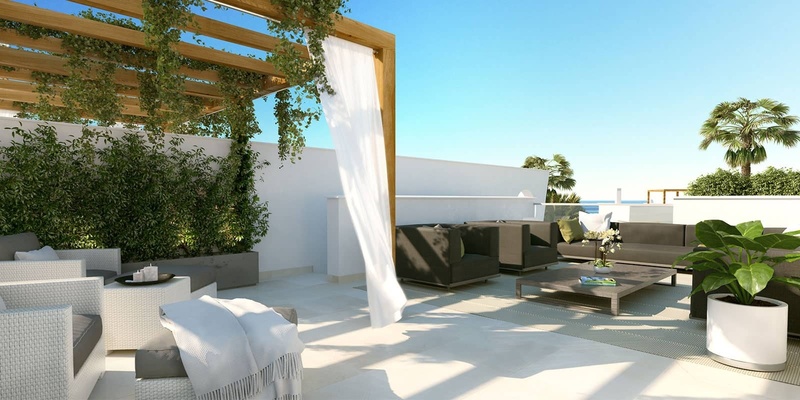 The jewel in the crown of these fantastic new homes in Calahonda, Mijas Costa, is their stunning rooftop solarium with pergola, giving you the option of a partially-covered terrace from which to enjoy the open views each unit offers. The location of the large, private and secure 13,000m2 plot could not be better for enjoying the exceptional lifestyle offered by the Costa del Sol. 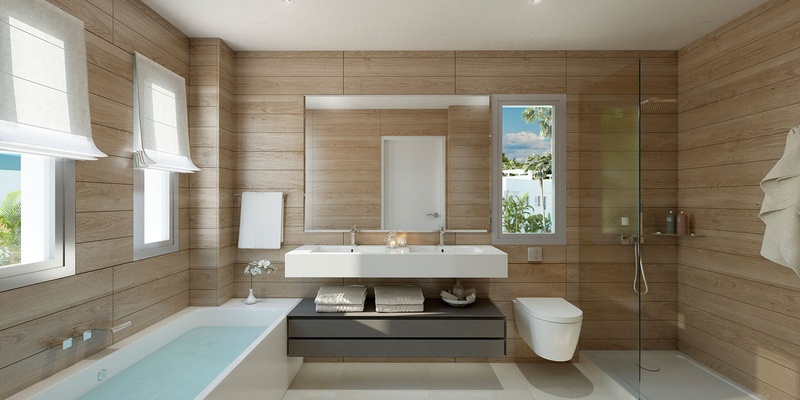 This really is a rare opportunity to purchase property in a top quality complex of new homes close to the beach in an established and popular area with all the conveniences and standards expected for modern living. In less than 10 minutes you can walk to Calahonda's stunning sandy beaches, where you will find the seafront boardwalk, which stretches for several kilometres in each direction - perfect for a stroll in the sunshine and enjoying your family's treasured holiday time. Furthermore, these brillliant new homes are within easy walking distance of all amenities including supermarkets, a large selection of shops and restaurants and 2 shopping centres, while you also have golf courses virtually on your doorstep and Málaga airport is just 25 minutes away. 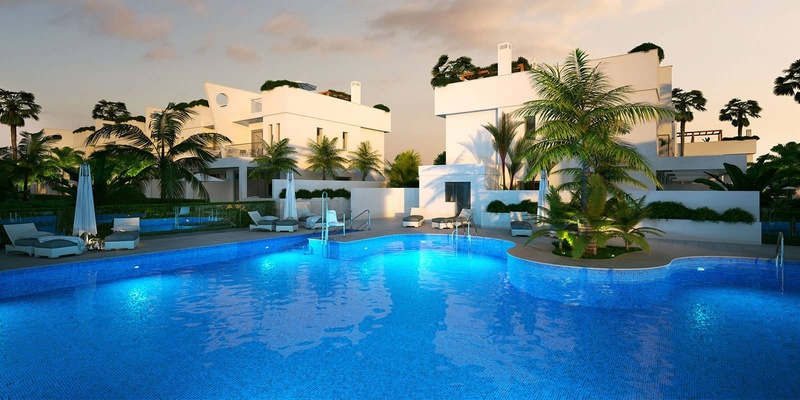 A unique opportunity to purchase a new property with all the modern standards expected, within genuine walking distance of all the amenities you need to enjoy the Costa del Sol lifestyle.